What a treat to receive such a beautifully packaged delivery! 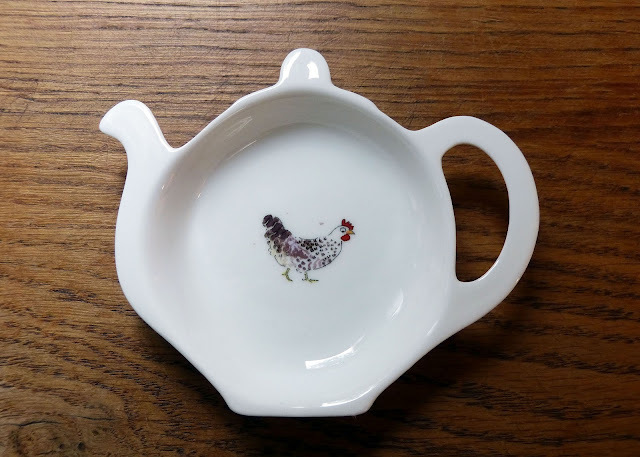 A little tea tidy with a picture of a chicken! Of course, I love chickens, but I also love Sophie Allport's range of kitchenalia. I have this design on a mug already so I just had to have the tea tidy to match. 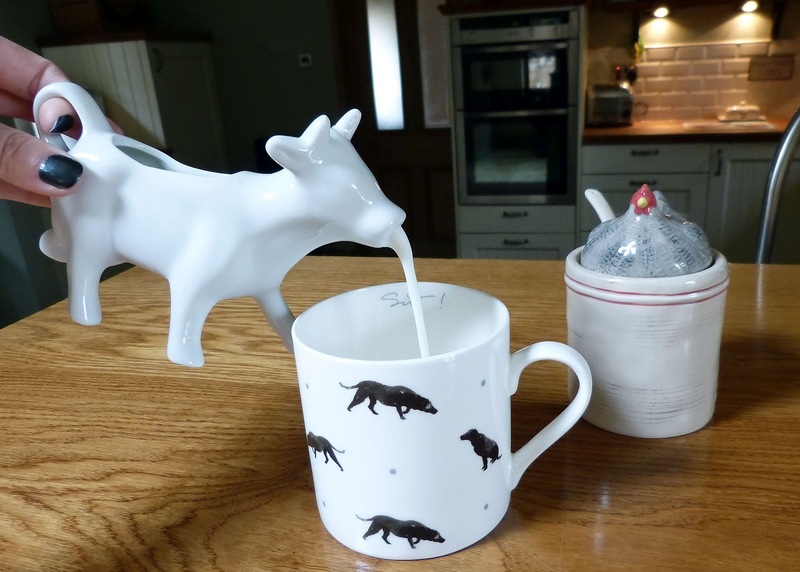 A ceramic cow milk jug! I noticed last week that I appear to have lost my milk jug so this is a perfect replacement. It's so cute, I couldn't resist. 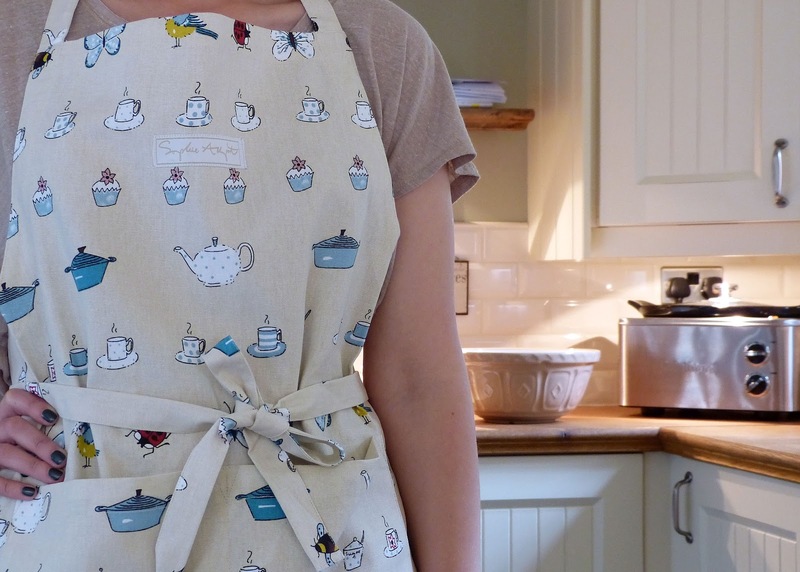 And another gorgeous Sophie Allport design, 'The Good Life' Apron. I've been wanting an apron for ages, to make me feel suitably homely when I'm baking on Autumn days. 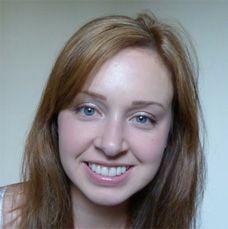 This fitted the bill exactly, a cute design, long ties and even a little press stud at the neck for the perfect fit. Overall I'm delighted with my purchases and with the excellent customer service I received from Butterfly Lane. 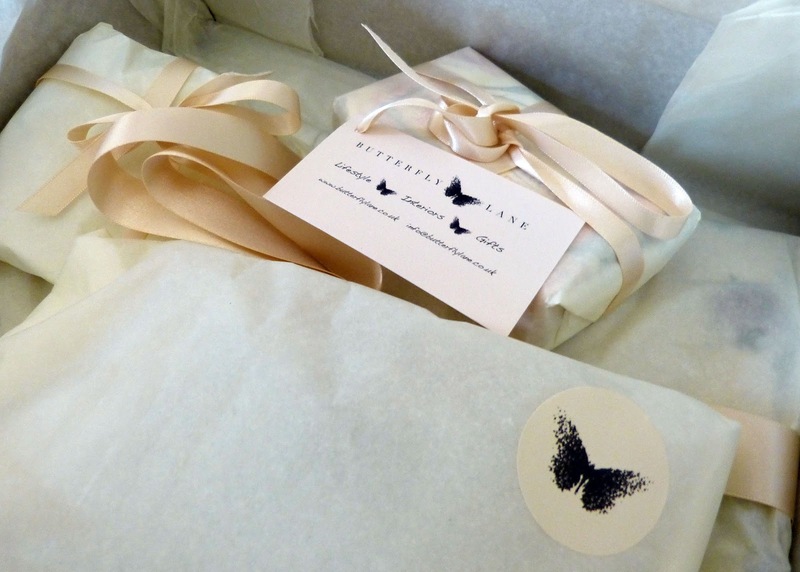 I placed my order on Friday afternoon and my items were delivered, beautifully packaged on Saturday morning. The parcel even included a free gift, a large bar of rose and peony scented soap which I am saving as a guest soap for next time my sister comes to stay. I will definitely be back for more from Butterfly Lane, I already have my eye on a cute bowl for fruit. The website also has a Gift Shop with a 'Little Bit Of Something' section - a selection of gifts all under £10, which I think is a great idea. Nikki also has an interiors blog which I have subscribed to, it's full of beautiful interiors ideas and photographs which make me weak at the knees! What would you purchase from Butterfly Lane? oh my!! that cow milk jug is AMAZING!!!! so so so gorgeous!